Summer has to be my favourite season for food. From all the fresh Ontario produce to the smell of the sweet BBQ grilling our delicious meals, I can’t get enough. If it weren’t for the heatwaves I would totally love summer, but we have central air so I can hide in the house when it is the temperature of instant melting outside. If you have watched me on The Marilyn Denis Show you may have heard me mention the Flipp app before. I’ve also included them in my Best Time Saving, Money Saving & Money Earning Apps You Need To Download because it is just that fab! It is an amazing tool to save you time and money on pretty much everything. Flipp makes weekly shopping easy with the most digital flyers and coupons from the brands you love – Flipp for the most savings every week! 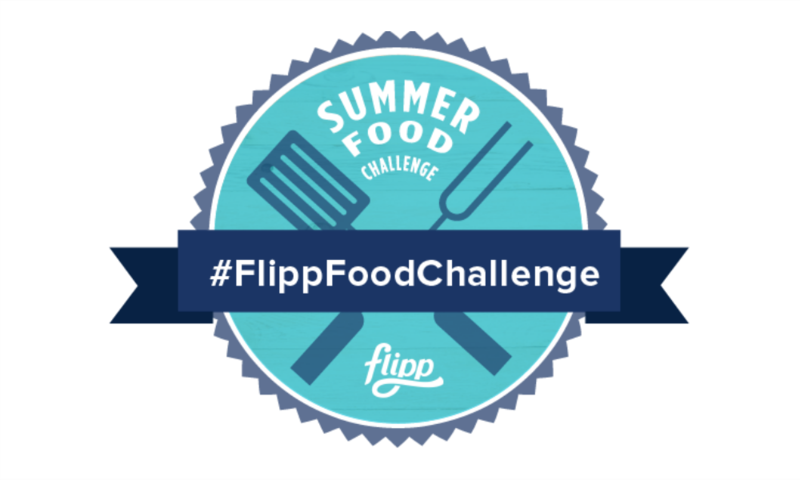 I was invited to participate in the #FlippFoodChallenge where I was to make a shopping list within the app, save some money, and share a recipe I made with the food I saved money on – CHALLENGE ACCEPTED! Everything was going smooth. I made my list of things I wanted to buy and the app told me if they were on sale anywhere. I Flipp’d through the flyers in the app to see if there was anything else great on sale I could use and found some sweet deals on things we needed to stock up on. I went out shopping, scored everything on my list and came home. I put away my groceries and scheduled in my calendar when I would make my recipe for this blog post. 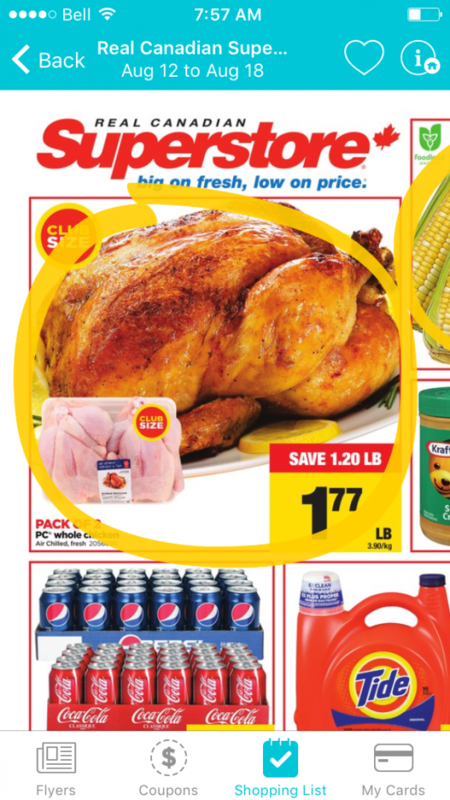 It was going to be great guys, I had two fresh whole chickens that were on sale at Real Canadian Superstore for a fantastic price. So, ya, I breed humans with big appetites and have more than two breast eaters in our home so we always need to make two. I had my sides all planned out for a well-rounded, healthy, delicious meal. It was going to be delicious! Well, this is where you see that life doesn’t always go as planned and I am just as normal as you. So yesterday, around 4:oopm, I seasoned the birds and placed them in a roasting pan in the oven. An hour and 40 minutes roughly until they would reach the proper internal temperature and be done. At around 5:50pm I grabbed my meat thermometer and checked both the thigh and the breast, both read just above the needed internal temperature so out they came. I placed aluminum foil over them to let them rest so the juices would settle back into the meat and began to make my sides as all were quick and easy. My sides were just about finished and the chicken had been resting for about 10 minutes when my mom came upstairs and offered to start cutting them. It wasn’t long before she said “Aimee, I don’t think your chickens are cooked”. I looked over and sure enough there was raw chicken and blood in my sight. At this point the kids are going crazy in the living room, my frustration level was rising. I popped them back in the oven and put the foil over my now finished sides that were getting cold. After another 20 minutes in the oven surely these birds had to be done, they were just a bit raw so they should have been done. NOPE, they sure weren’t. Cue Bella running wild in the kitchen, my older two arguing and me having a complete meltdown in the kitchen. I threw my hands up, said a few choice words to the ruined dinner and told my family they were on their own, I was frustrated and hangry which is not a good combination. So while I wanted to bring you an amazing recipe for my most fave roasted BBQ chicken with some deliciously easy sides that are whipped up in the 10 minutes your chicken is resting I have nothing for you but this story that you will most likely (hopefully) relate to or just find amusing. 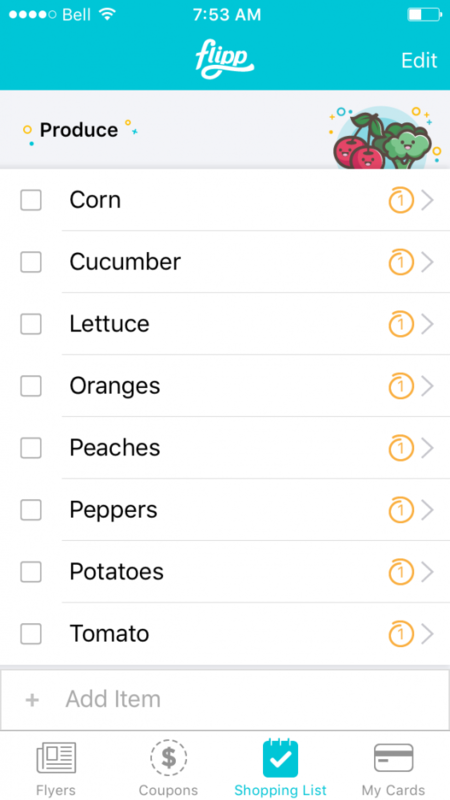 On the bright side Flipp helped me save over $150.00 on my groceries, it seriously is my go-to app each week to see where the best deals are. They have flyers for all types of stores too, not just grocery. I don’t pretend to be perfect, I don’t pretend my life is perfect, I don’t have a magazine worthy perfect home, and things don’t always go as planned. Today is a new day and a new dinner is on the horizon, so stay tuned … I may just be able to update this #FlippFoodChallenge with a recipe if I don’t have another run in with a chicken that doesn’t want to cook! Have you ever had a meal go wrong in every possible way? Please tell me I am not alone and share with me your story below! Disclosure: Although this post has been sponsored by Flipp, the opinions and language are all my own, and in no way do they reflect Flipp. Any product claim, statistic, quote or other representation about a product or service should be verified with the manufacturer, company, provider or party in question. We all have kitchen fails from time to time. Sorry about the Chickens! Flipp is awesome for finding the best deals. My paper flyers always arrive after the sales start.